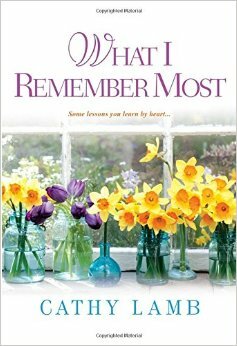 When I’m in the mood for a good story that will make me laugh as well as cry, I check to see if Cathy Lamb has written anything new. After finding this 2014 publication that I had missed somehow, I eagerly settled in for an escapist read. Grenadine Scotch Wild decided to disappear from her old life. She left her husband, her house, her job, and her high society lifestyle after she was arrested for aiding her husband in questionable business investments. She picked a small town in Central Oregon to start over. It didn’t take long for her to find a job as a bartender and make a few friends. I liked the supporting characters of the book — from the quirky bar patrons to the hunky boss to the unscrupulous husband to the creepy killer. This outstanding cast complemented the page-turning story. Lamb skillfully weaves back story with current story to complete a tapestry of Grenady’s life. This is more than one woman’s search for career success, it’s her search for answers and justice. I liked Grenady, and rooted for her all the way to the last page. Paige is despondent. Her family recently moved from central Virginia to Manhattan and she has to deal with acclimating herself to a new city and culture while her relationships with her parents, especially her mother, have been crumbling. She misses her old life, and her old friends, especially her best friend Diana. Paige floats around New York with a sensation of being lost, unsure of herself or what she wants. Both her mother and father are writers (hence her unfortunate name, Paige Turner), but she is more like her grandmother, a painter. Introverted and quiet on the outside, Paige is full of life and emotions on the inside. She can’t express these feelings in words so she buys a sketchbook, determined to follow her grandmother’s rules that she came up with to teach herself to be an artist. Starting the first drawing is daunting, and brings to the surface more of her anxieties. Is she a good enough artist, what if she has nothing to draw about? Monologues of self-doubt constantly run through her head, even as the pages begin to fill up with sketches. Entering her new school, Paige quickly falls in with Jules, her brother Longo, and his friend Gabe. The foursome is soon inseparable. Paige still struggles with self-doubt, and everything cool and fun she sees in her friends strengthens her inferiority complex, and fear that her lack of specialness will be discovered. Her inner voice promises that she can change. But how can she build a new self and remove those parts she dislikes most? Ever practical, Paige makes a list of those aspects of her personality she dislikes the most and intentionally faces them with the help of her friends. She discovers that they too have things that they lack the courage to face, and she begins to coach them, even as she is developing and evolving herself. The image of a seed being planted and carefully tended to as it grows into a fragile shoot appears several times in the drawings and is particularly apt. Recommend for young adults and graphic novel readers and anyone else who can relate to the heart wrenching process of finding yourself. What would you do if you were given a financial boost so you could change careers? Four college friends get to explore the answers to that question in this charming story by Beth Kendrick. Ten years after they all graduated with English degrees Brooke, Cait, Jamie, and Anna are employed, but not doing what they would really like to be doing. When an unexpected financial windfall gives them a little cushion to follow their dreams, they each take a risk. Brooke buys Henley House, the off-campus dorm where the friends lived while in college. She intends to turn the old structure into a welcoming bed and breakfast. She’s joined by Jamie, who leaves L.A. to try her hand as a party planner; Anna, who leaves her stressful marital issues to bake specialty desserts; and Cait, who leaves a shaky associate professorship to write a novel. The book is about their friendship and their choices. The book reminds me of those multi-character stories by Maeve Binchy or Debbie Macomber. The character interactions are important–and it is satisfying to see how these different lives fit together. Second Time Around is a fun, easy escape. 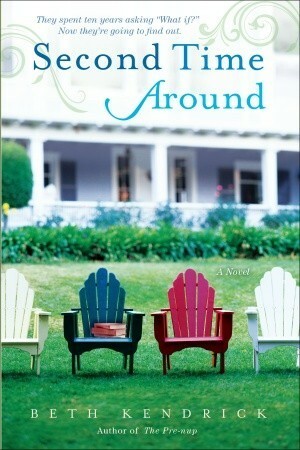 It has a little bit for everyone–romance, intrigue, home repair, baking–this hits all the popular trends! Perfect for hot summer days. Days before her wedding, Poppy Wyatt loses her engagement ring. Sometime between her girlfriends admiring the ring and passing it around.. and the luncheon programmers finishing up the raffle drawings.. and the hotel staff requiring everyone to evacuate the room for a fire drill… the heirloom ring disappeared. Not only that, but when she goes outside to get a better cell signal, someone steals her phone. Desperate to figure out what to do next, Poppy paces the hotel lobby and spies a cell phone in a trash can. What luck–the phone works! One problem solved. Sort of. 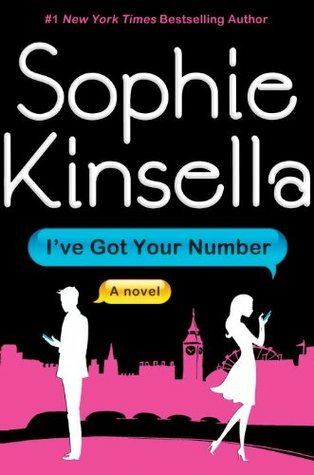 The phone belongs to Sam Roxton’s personal assistant who quit without giving notice, so when Sam calls the number and reaches Poppy, she is able to convince Sam to let her keep the phone until she finds her ring and she’ll forward all his messages. The crazy plan works, but of course, Poppy reads all the texts that come to Sam and gets a pretty good idea of what’s going on behind the scenes in his office. Sometimes she understands what’s going on better than Sam, who is too busy to read, much less return, most texts. And because this is a Chick Lit with romantic elements, Poppy and Sam gain insight into each other through this odd arrangement. And they like what they find! Personally, I never thought texts could be romantic, but I changed my mind after listening to the incredibly touching scene where Poppy and Sam are texting each other in the dark woods. This is a light, fun, satisfying book. I highly recommend it for poolside entertainment this summer. I even enjoyed the secondary characters, even the snarky ones. And rooted for Poppy’s happily ever after with Sam right from the beginning. I typically choose beach reads in the fall or wintertime. As temperatures drop below 50°F, cover images with hammocks and cerulean blue seas become irresistible and I pick them up for escape purposes, to tide me over until I can reach a beach in a warmer clime. It’s like a chocolate indulgence or an extravagant café selection — a little me-time fantasy. Ocean Beach fit the bill this time. The scenario of Ocean Beach made me recall the 80’s television sitcom Designing Women. A group of women friends, assembled in Wax’s typical ensemble-cast style, are collaborating on the renovation of an historic Art Deco home in the dreamy vicinity of Miami’s South Beach. This project shows the promise of promoting the future success of their fledgling enterprise owing to the fact that their remodeling project is to be featured on a reality television show called Do Over. However, they had not anticipated that such notoriety might stem from a camera focused much more on their private lives than their skills with refinishing and refurbishing old houses so they are soon wishing their dirty laundry wasn’t about to be broadcast for all to see. Ocean Beach readers will find a little romance, troubling pasts and deeply hidden secrets, a bit of amateur detective work, and more than a few strained domestic relationships in this lively, dramatic novel. 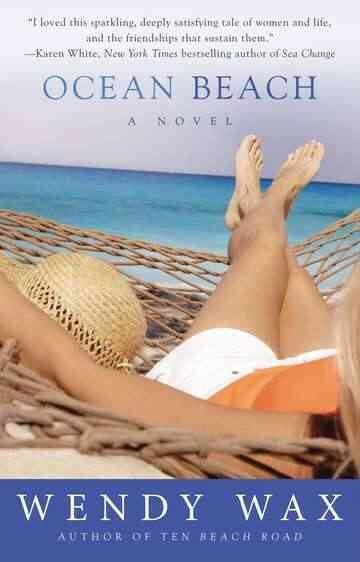 Fans of chick lit and romance are sure to enjoy turning its pages, preferably while relaxing on a sun-kissed beach. If you’re interested in starting with Wendy Wax’s earlier books, try The Accidental Bestseller.